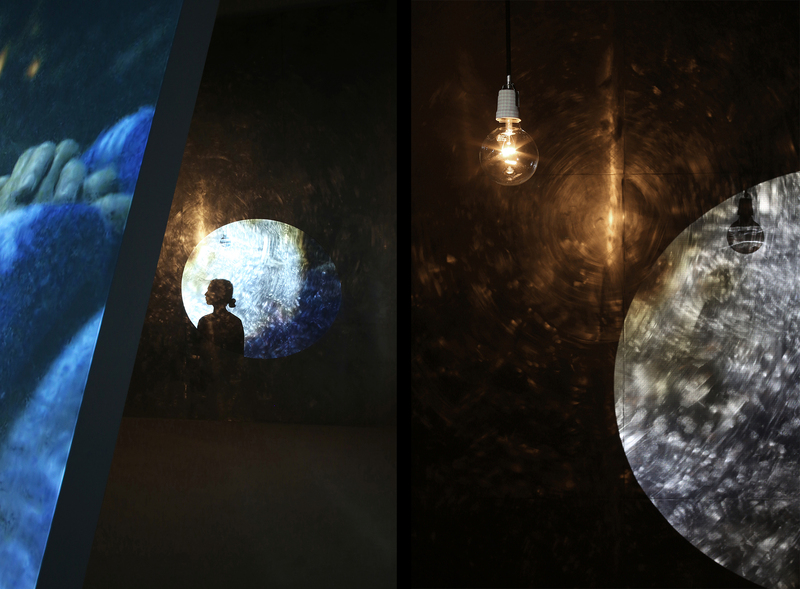 'Synchronicity' is the first collaboration between film director and artist Apichatpong Weerasethakul and artist Hisakado Tsuyoshi. Dealing with individual dreams and memories as well as ghosts, folklore, and political movements from the northeast Thai region of Isan, Apichatpong’s practice intermixes and contrasts political content with highly personal stories to produce work with a distinct poetic sentiment. 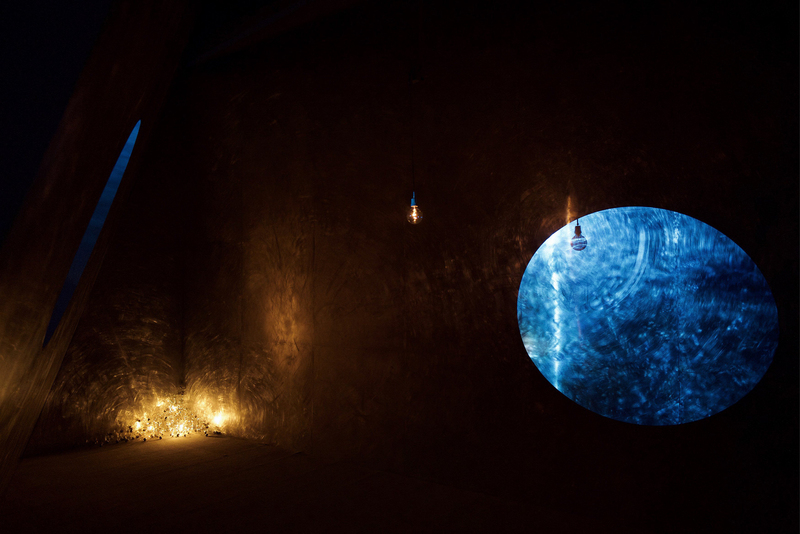 Hisakado surveys the various phenomena around him as well as histori- cal events to make installations and sculptural artworks that recreate these elements in theater-like spaces, using artificially produced sounds, light, and wind. 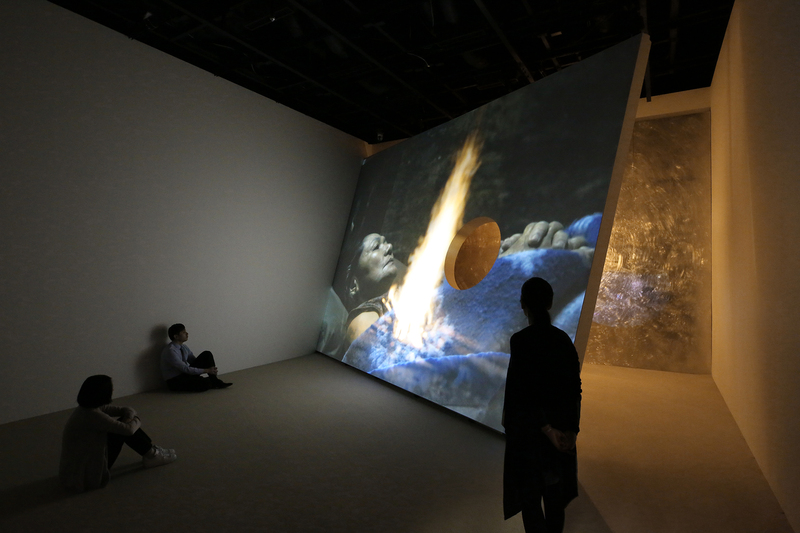 The video footage created by Apichatpong for this work consists of two parts. 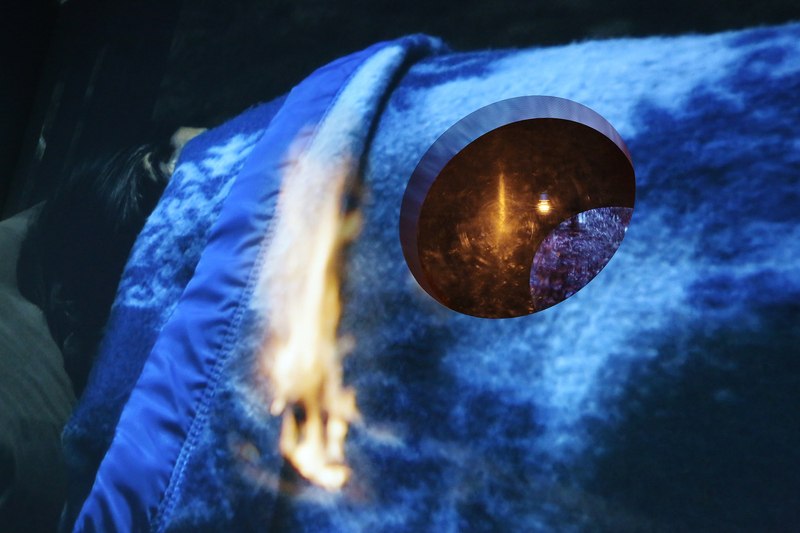 One portrays a woman trying to sleep as she struggles against auditory hallucinations that keep her awake. The other switches between actual backdrops used in performances of 'Likay', a traditional form of Thai folk theater. 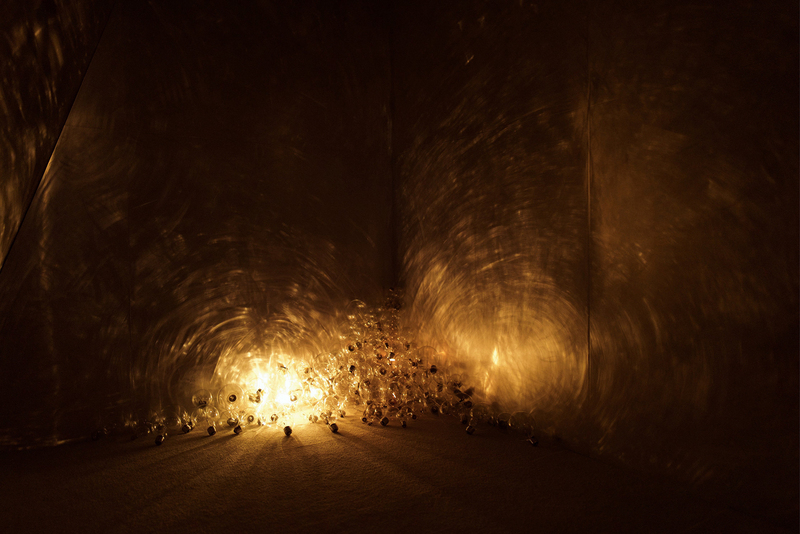 Hisakado has created a spatial installation that simulta- neously interferes and resonates with Apichatpong’s film through a light bulb sculpture and intentional control of the light and shadows it casts. 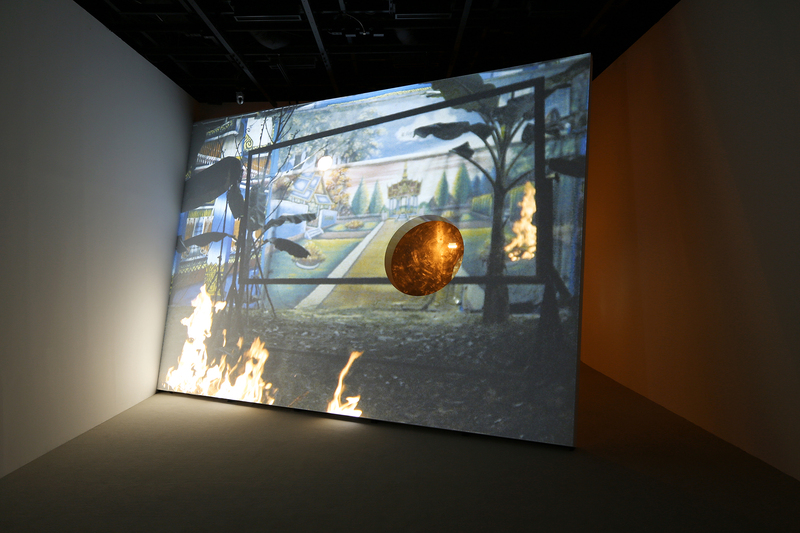 The video and sound in the gallery as well as the lights and shadows from the projector and light bulbs are completely programmed. The 'Likay' referenced by Apichatpong’s film is a kind of theater whose dialogue and lyrics are improvised by performers, leaving the interpretation up to the imaginations of the audience. In the same way, one of the important things that Synchronicity attempts to depict is the individual experiences and occurrences that appear by chance between it and the viewer.